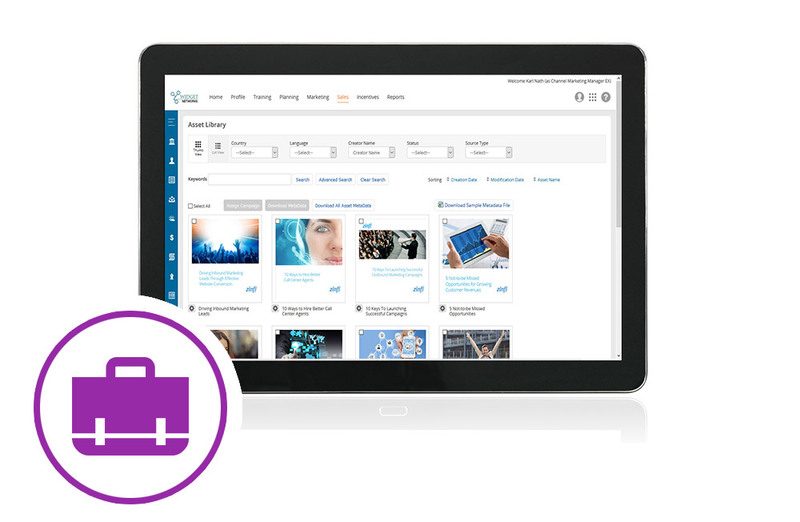 Create a beautiful, mobile-responsive partner portal that partners can use to navigate through your channel programs and quickly find the content, campaigns and programs that they are eligible for. Use a complete set of easy-to-use, do-it-yourself tools to set up and manage content, campaigns and applications across various user groups, partner types, languages, regions and territories. Upload a variety of digital asset types—web banners, videos, data sheets, case studies, success stories, price lists and so on—in multiple formats, including HTML, HTML5, PDF and Microsoft Office. Make it easy for partners to co-brand and download printer-ready, low- and high-resolution digital assets. Control which documents or parts of documents partners can edit or modify based on partner levels (gold, silver, approved, etc. ), partner profiles, geographic location and more. 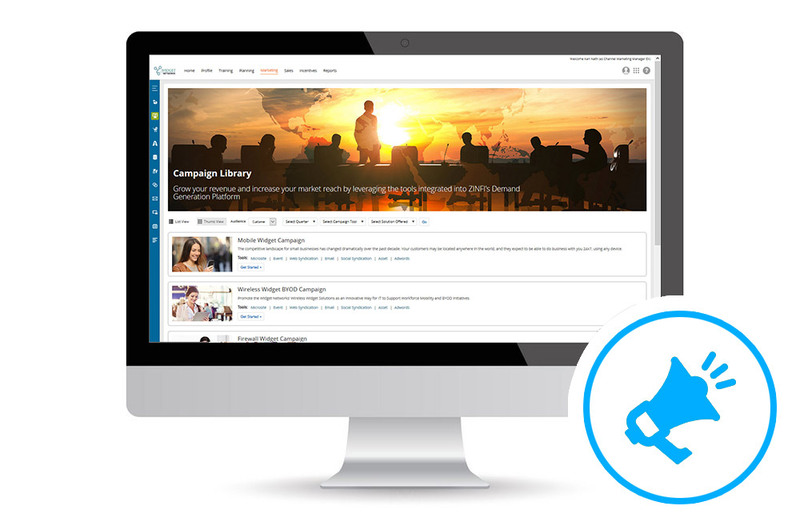 Digitally deploy co-branded campaigns (search, social, syndication, email, event, microsites and more) for partners and enable them to run integrated campaigns with just a few clicks. Effortlessly track the performance of programs and campaigns, and quickly determine what is working and what needs changing for partners to generate more leads at a lower cost. 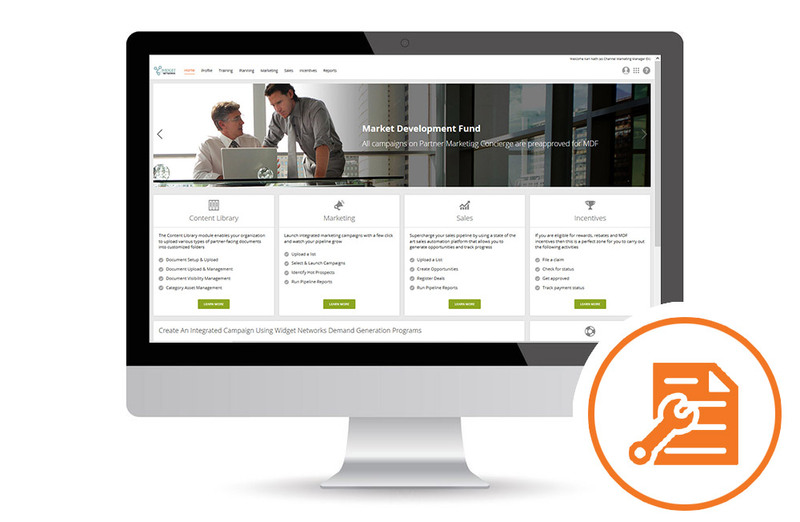 Enable agencies and third-party concierges to access and run programs for partners. Connect to your existing CRM infrastructure and seamlessly manage the distribution of leads to partners with ZINFI’s Lead Management modules, then easily track partner-led demand generation activities. Allow partners to register deals within the ZINFI platform while your channel managers review, manage and approve via your CRM. Run detailed analytics to understand which regions, partners and products are performing well and identify areas for improvement. Accelerate partner sales performance by dynamically managing incentive programs such as market development funds (MDFs), co-op funds, sales rewards, rebates and referral commissions. Allow partners to submit plans, then review and collaborate with partners online prior to approval. When partners upload proof of performance, use this module to automate payment through appropriate currency exchanges. 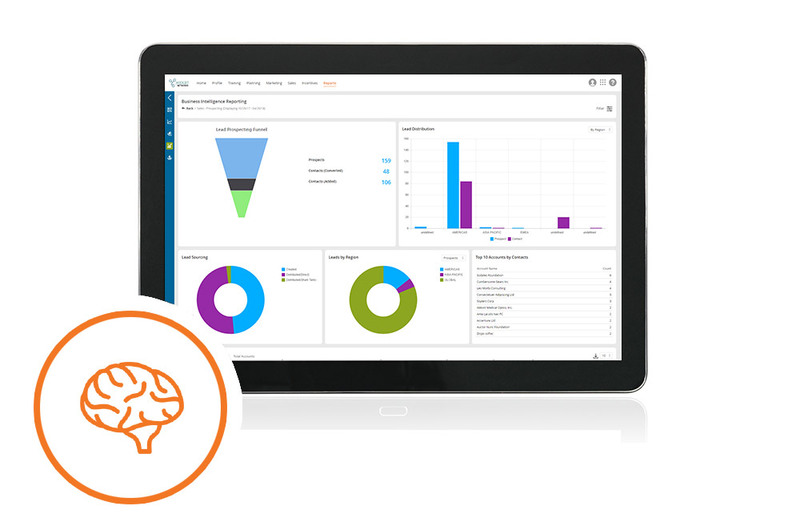 Then track performance and incentives ROI with our powerful data analytics engine. Run activity and performance reports in real time across various partner groups, territories, programs and campaigns. Monitor performance on the fly, and build customized drill-down reports with a few clicks and drag-and-drop activities. 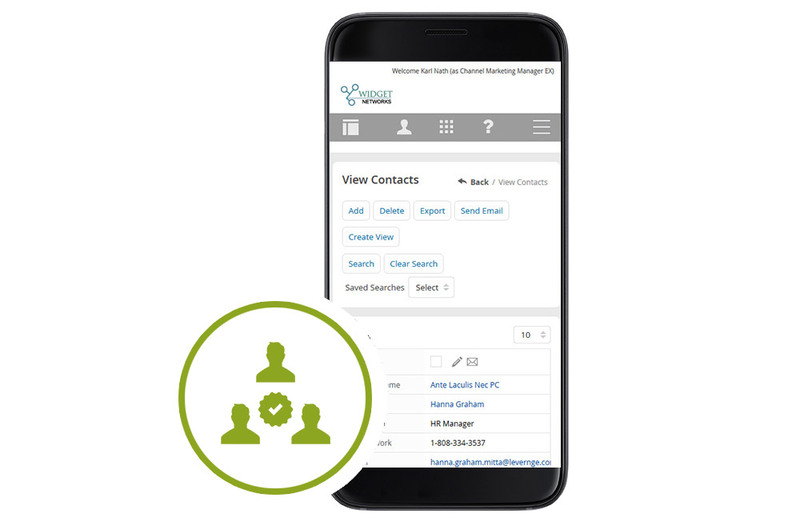 Assign and mail reports to yourself or other members of your team, including selected partners. Generate increased ROI by correlating cross-program activities. 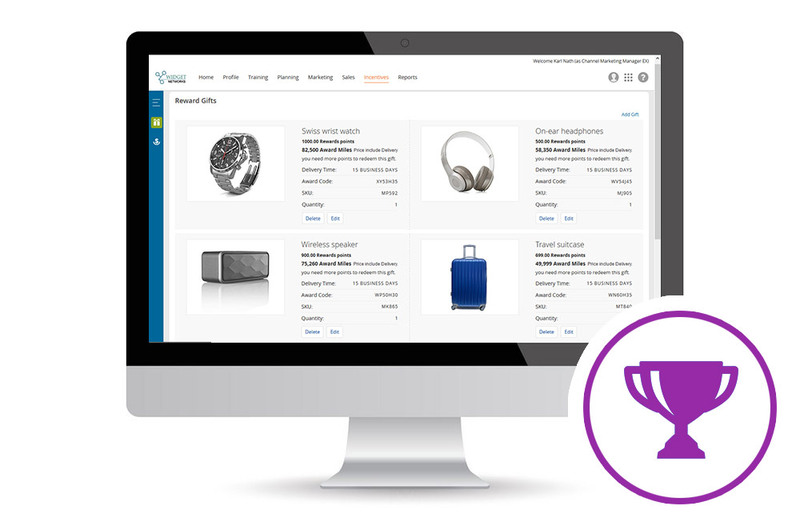 Looking for additional Channel Relationship, Marketing and Sales Enablement capabilities?